This article is about the professional wrestling and MMA writer. For the poet, see David Meltzer. Since 1983, he has been the publisher and editor of the Wrestling Observer Newsletter (WON). He has also written for the Oakland Tribune, the Los Angeles Times, Yahoo! Sports, and The National Sports Daily. He has extensively covered mixed martial arts since UFC 1 in 1993 and currently covers the sport for SB Nation. He has been called "the most accomplished reporter in sports journalism" by Frank Deford of Sports Illustrated. He is also a frequent lecturer on many aspects of the business of MMA, professional wrestling, and boxing at the Graduate School of Business, Stanford University. Meltzer was born in New York City, and lived in upstate New York until he was ten, before his family settled in San Jose, California. Meltzer earned a journalism degree from San Jose State University and started out as a sports writer for the Wichita Falls Times Record News and the Turlock Journal. He demonstrated an interest in professional wrestling and a journalistic approach to it early in life. Meltzer wrote several wrestling-related publications that predate WON, dating back to 1971. The most notable of these was the California Wrestling Report, ca. 1973–1974, which reported on the still-extant National Wrestling Alliance territories operating out of Los Angeles and San Francisco. The beginnings of the Wrestling Observer Newsletter (WON) date back to 1980, when Meltzer began an annual poll amongst those with whom he corresponded regarding professional wrestling. According to Meltzer, he was just a fan at first. A short time later, he began maintaining a tape-trading list, and would occasionally send match results and news updates along with tape updates. 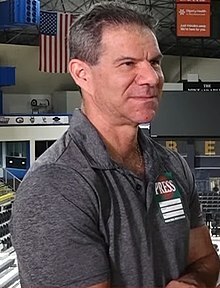 Meltzer stated that he wanted to keep his friends in college "in the loop" for his tape trading as well as the happenings in the business, as the mainstream wrestling magazines catered to a somewhat younger demographic. Meltzer popularized the "star rating" system (devised by Jim Cornette and his childhood friend Norm M. Dooley), which rates matches on a scale of zero to five stars (sometimes going to negative five stars in the case of very bad matches) in a similar manner to that used by many movie critics. Meltzer has also given ratings that have exceeded five-stars. The first match Meltzer has given a rating that was above five-stars was Mitsuharu Misawa vs. Toshiaki Kawada from a June 3, 1994 All Japan show. The highest he has ever rated a match was seven stars (*******), given to Kazuchika Okada and Kenny Omega for their match at Dominion 6.9 in Osaka-jo Hall in June 2018. Wrestlers, such as Bret Hart, have written how proud they were when their performances were praised in the WON. ^ Wrestling Professor, The (November 17, 2004). "Pick My Brain Interview: Dave Meltzer". The Armpit. Retrieved November 21, 2017. ^ a b c Laprade, Patric (July 18, 2016). "Melby Award for Meltzer proper recognition for pioneering work". Slam! Sports. Canadian Online Explorer. Retrieved July 22, 2016. ^ Rossen, Jake (2013-05-15). "In World of Wrestling, Trying to Keep It Real". The New York Times. Retrieved 2013-05-18. ^ "Lecture by guest speakers Mike Church and Dave Meltzer in Prof. George Foster's class in SearchWorks". ^ a b "Dean S. Planet's Celeb Interviews". Dean S. Planet's. Archived from the original on 2003-08-03. Retrieved 2007-07-11. ^ Benaka, Lee (1991). "The Lee Benaka Interviews - Dave Meltzer". Benaka, Lee. Death Valley Driver Video Review. Archived from the original on 2007-07-30. Retrieved 2007-07-11. ^ Cornette, Jim. "STARS IN THEIR EYES--FSM#138". JimCornette.com. Retrieved November 21, 2017. ^ Bixenspan, David. "Rating Pro Wrestling's New "Best Match Ever" Is Way More Contentious Than It Needs To Be". Deadspin. Retrieved November 21, 2017. ^ "Dave Meltzer on Twitter: "Misawa vs. Kawada"". Twitter. January 5, 2017. Retrieved November 21, 2017. ^ Hart, Bret (2009). Hitman: My Real Life in the Cartoon World of Wrestling. Grand Central Publishing. p. 214. ISBN 978-0-446-54528-0. ^ "Congratulation to Dave Meltzer, the 2017 James Melby Historian Award Winner". Cauliflower Alley Club. December 20, 2016. Retrieved November 21, 2017. This page was last edited on 12 April 2019, at 01:19 (UTC).